Chapter 13 Bankruptcy Attorney in Denver, Colorado - Jon B. Clarke, P.C. If you are considering filing for bankruptcy, Denver Chapter 13 bankruptcy attorney Jon B. Clarke can provide you with more information about Chapter 13 and your other options. In a Chapter 13 bankruptcy, there is a reorganization of the company’s debt. Most businesses that wish to remain in business select reorganization, rather than liquidation. Chapter 13 generally applies to individual consumers with smaller debts. Corporations and partnerships cannot file under Chapter 13, but self-employed individuals and individuals who own unincorporated businesses are eligible for Chapter 13. The debtor must have less than a specified dollar amount in unsecured debt and secured debt, however, in order to be eligible for Chapter 13. 11 U.S.C. § 109(e). These amounts are adjusted periodically. If you own an unincorporated business that is having financial difficulty, Chapter 13 bankruptcy may be an option. An experienced bankruptcy lawyer can explain the bankruptcy process to you. A Chapter 13 proceeding is initiated by filing a petition. As with Chapters 7 or 11, the filing of the petition automatically stays (stops) creditors from trying to collect on most debts. 11 U.S.C. § 362. Along with the petition, the debtor must file a schedule of assets and liabilities, a schedule of current income and expenditures, a schedule of executory contracts and unexpired leases and a statement of financial affairs. After filing the petition, a trustee is appointed to manage the case. 11 U.S.C. § 1302. 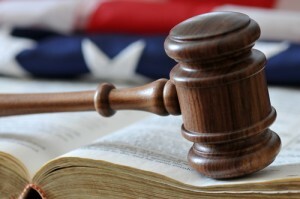 The trustee will hold a meeting of creditors within 20 to 50 days after the debtor files the petition. The debtor must attend this meeting and answer questions, under oath, regarding financial issues and the proposed plan terms. 11 U.S.C. § 343. Within fifteen days after the debtor’s filing of the petition, the debtor must file a plan that sets forth the details of how the business intends to pay off creditors in the next three years (or, with the court’s permission, five years). Fed. R. Bankr. P. 3015. The plan must provide for fixed payments to the trustee on a regular basis. The plan is submitted to the court for approval. If approved, the trustee will distribute funds to the creditors according to the plan’s terms. Within 30 days of filing, the debtor must start making payments under the plan to the trustee, even if the court has not yet approved the plan. 11 U.S.C. § 1326(a)(1). The plan must pay priority claims in full, unless a priority creditor agrees otherwise. Priority claims include most taxes and the costs of the bankruptcy proceedings. The next class of claims is secured claims, which are those claims for which the creditor has the right of recovering property (collateral) if the debtor does not pay. The final class of claims is unsecured claims, for which the creditor generally has no special rights to collect against any property the debtor owns. Unsecured claims do not need to be paid in full as long as the plan provides that the debtor will pay all “disposable income” over an “applicable commitment period” and as long as unsecured creditors would receive at least as much under the plan as they would if the debtor’s assets were being liquidated under Chapter 7. 11 U.S.C. § 1325. The judge holds a confirmation hearing within 45 days of the meeting of creditors, at which time he or she will decide whether the plan is feasible and meets the standards for confirmation under the Bankruptcy Code. 11 U.S.C. §§ 1324, 1325. Creditors may object to the plan, however, if the court approves the plan, they can take no action outside the plan’s scope to collect their debts. Businesses that file for Chapter 13 can continue their normal operations during the reorganization. It should be remembered, however, that the business is now being operated for the benefit of creditors as well as for the business owners. The business is obligated to make full and fair disclosures, conserve assets and enhance profitability. The U.S. Trustee requires that debtor businesses file monthly operating reports. Though not required, it may be a good idea for the business to also prepare monthly cash-flow statements. An attorney may also advise the business to close and reopen its books on the date of filing so that pre-petition debts are not paid from post-petition property of the estate. The form of bankruptcy a company pursues depends upon a number of factors, including the amount of the company’s debt, the form of the business entity and whether the business wishes to operate after bankruptcy. If you are considering filing for bankruptcy, Denver Chapter 13 bankruptcy attorney Jon B. Clarke can provide you with more information about Chapter 13 and your other options.